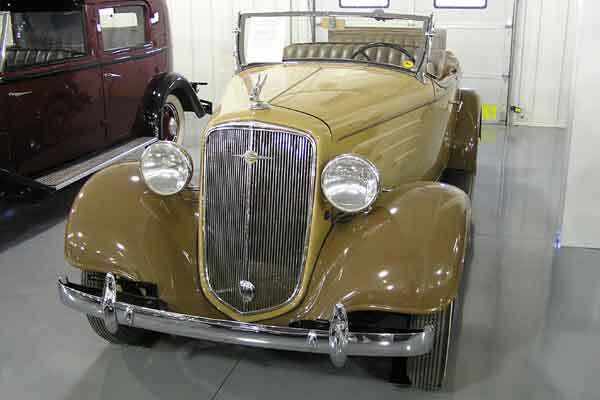 This car is nearly a match with the 1933 Chevrolet four door Phaeton you see in this same row. We purchased the car fully restored. It is one of the most sought after classic autos today. 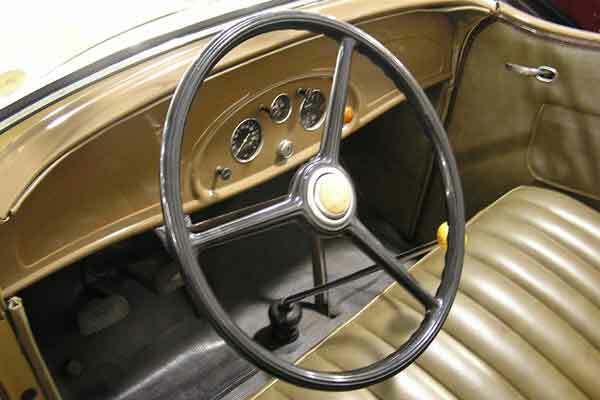 Knee-Action front suspension went into Chevrolet�s Master series, but not Standard versions. Only 1,974 Sport Roadsters were built in �34 and many of them still exist.